These stunning arm bracers are made of 13/15 oz. battle ready leather. 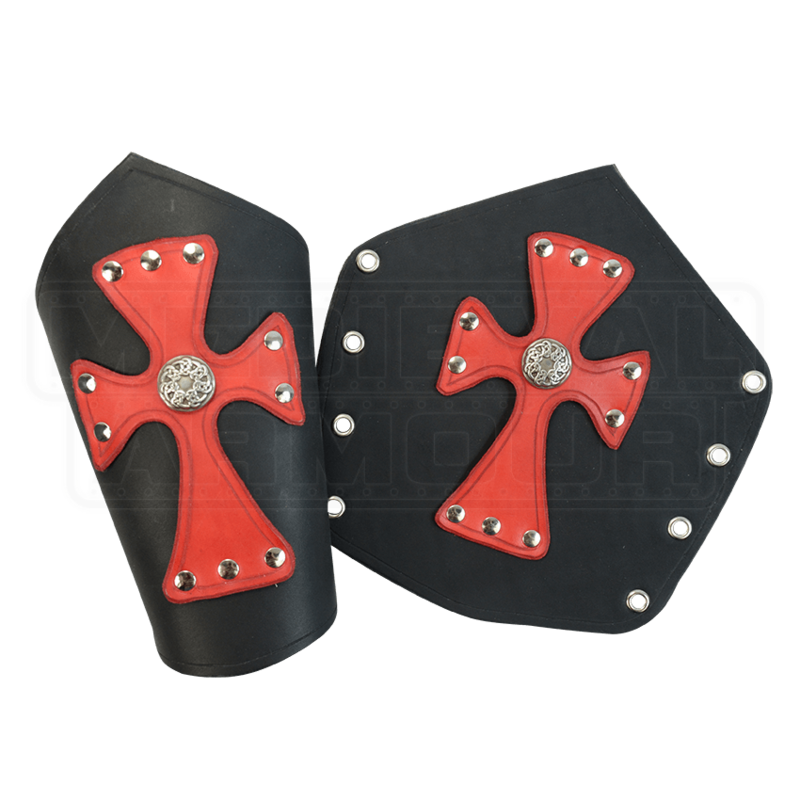 They feature a hand tooled cross with Celtic decoration riveted to the bracer. Great for use in the SCA, LARP and theater, they will give your outfit a custom made look. 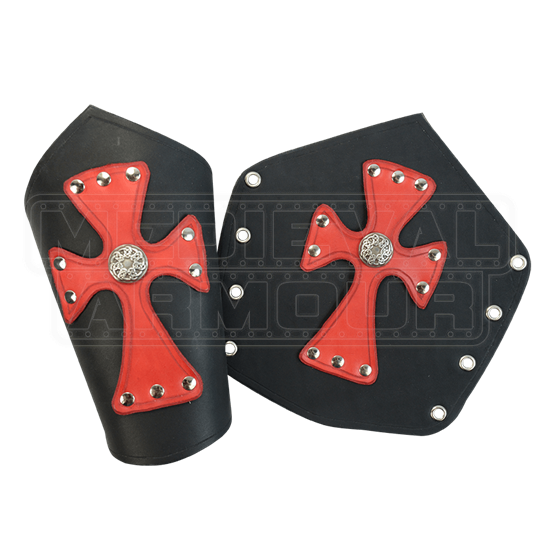 The bottom bracer and cross are available in different colors allowing for many different color combinations. The bracer is 9.25 inches long and when laid flat they are 7 inches wide at the wrist and 9 inches wide at the widest part up towards the elbow. They are sold as a pair and lace up for closure. The available colors are black, brown, blue, green, or red. When selecting your colors, the Color selection is for the base piece of the arm bracers. The Accent Color selection is for the cross design. Do these bracers look familiar to you? If so, that is because we outfitted much of the cast of the hilarious movie Role Models starring Sean William Scott and Paul Rudd. The very funny Ken Jeong played King Argotron and wore these bracers!